In a recent interview, God of War director Cory Barlog explained why they didn’t opt for a full-on reboot in the new game. Basically, they wanted to keep developing Kratos as a character. The previous games serve as an excellent backstory, so it wouldn’t make much sense to throw it all away now. 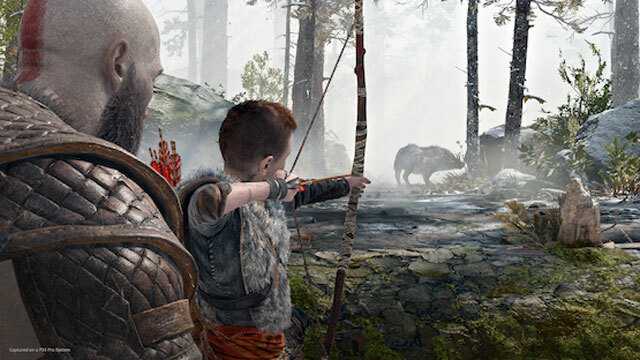 The Santa Monica Studio of Sony Interactive Entertainment is making some huge changes to the God of War formula. The gameplay is going through a major overhaul, for one. The camera is now right behind the shoulder, we don’t have dual blades anymore, and Atreus is there to help us fight with his bow. Plus, they’re trying to get rid of the QTEs, or at least rework them in some manner. Also, they’re aiming for a completely different emotional tone, with a more mature Kratos bonding with his son. So, as a result, some people have started to call the upcoming God of War a reboot. And, sure, with all the changes, I see how you could make the argument. However, the game will definitely be a sequel, or soft reboot at most, and for good reason. In a recent interview with PlayStation Lifestyle, director Cory Barlog explained why making a full-on reboot wouldn’t have made sense. Barlog said: “It’s like the first games serve as the backstory, right? And it’s like people say, ‘Oh, why didn’t you start over and bring a new character?’ And I was like, but it’s like a decade of character development. You can’t. Why would you ever throw that away?” Personally, I agree wholeheartedly. We’ve come with Kratos this far, through his rises and falls, and ultimate sacrifice in the end. Now, we might be coming to the end of it, and come full circle. This way, we can see a whole new Kratos, and I can’t wait for it.